• We are the only company providing movie cars, film cars and cars for TV that can also repair, wreck, demolish, re-spray, modify and legally dispose of almost all vehicle types. • Masada Picture Cars is fully licensed to legally decommission vehicles for safe demolition whether in front of the camera or afterwards. • All of these services are able to be provided overnight if required – and most of them have previously been provided overnight… successfully. 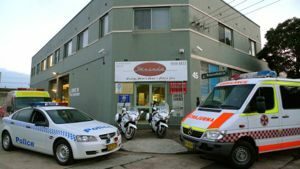 • Masada’s film car offices and primary workshop is only 5 minutes from Fox Studios, 10 minutes from Sydney CBD and Harbour, and 8 minutes from Sydney Airport. • Secure storage facilities, with 24 hour security, CCTV and Back-to-Base alarms. Your vehicles can be stored safely, without prying eyes being able to see them. • Masada Picture Cars is backed by long-established, well-respected businesses with teams of staff expert in both film and television production and vehicle repairs. • Onsite mechanic and electrician available to our clients, 24 hours per day, 7 days per week, 365 days per year. 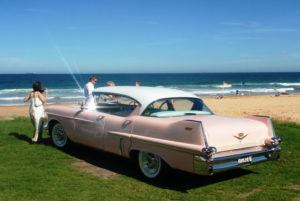 Masada Picture Cars is proudly partnered with Cadillac Classic Wedding Cars.